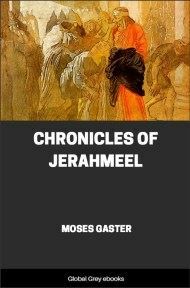 This is Moses Gaster's translation of the Chronicles of Jerahmeel which is a voluminous work that draws largely on Pseudo-Philo's earlier history of Biblical events and is of special interest because it includes Hebrew and Aramaic versions of certain deuterocanonical books in the Septuagint. The text runs from the void before Creation, through the Deuterocanonical Apocrypha. The chronicle which I publish here for the first time is not a chronicle in the strict sense of the word. It does not relate true events which have happened in the history of mankind, but it belongs more to that class of legendary history which was so much in vogue in the Middle Ages, and which owes its original conception to the attempt, from very ancient times, to embellish the biblical narrative. The history of the world began with the narrative of the Bible—first for the Jews, and then for all the nations who have derived their knowledge and their faith from the same source. The careful reader of the Bible must have been struck with what appeared to him to be incoherence of narrative, want of details, and at times great lacunæ. Hence the desire for filling them up. An old problem has also been to establish a fixed chronology upon the basis of the biblical narrative. This last was, in fact, the oldest attempt to construct exact history out of the Bible. 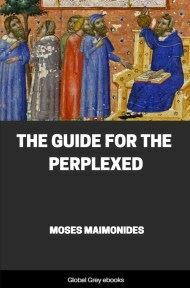 The computation of the era of the world, and the desire for fixing the age of every person mentioned in the Bible, and of every event contained therein, was imposed upon Jews almost as soon as they came in contact with the highly fantastical chronologies of Manetho and Berossus, who gave to the world and to the reigning dynasties of Egypt and Assyria millions of years. The Jews, especially those who lived in Alexandria, the ancient focus of civilization, where all the currents of thought, myth and learning combined, felt the necessity of comparing these fabulous histories with the true history of the world as contained in the Bible. We therefore find among the oldest Alexandrian writers like Demetrios and others the very first rudiments of biblical chronology. Egypt was also the land where myths and legends flourished in abundance, and no wonder that the lives of Biblical personages connected especially with Egypt and Egyptian history, like Joseph, Moses, Solomon and others, should have been embellished with legendary and poetic details drawn from sources hitherto not yet accounted for. Biblical legends occur, therefore, very frequently in the works of the Alexandrian writers referred to, especially in Artapanos and Philo, and, derived from such sources, also in Josephus. This activity was, however, not limited to Egypt. The desire for rounding off the biblical narrative, for filling up the lacunæ, for answering all the questions of the enquiring mind of the ancient reader, was also carried on in Palestine and probably so in Babylon. Hence a new literature grew out of the Bible, and clustered round the Bible, which goes under the name of the Apocrypha, or pseudo-epigraphical literature. 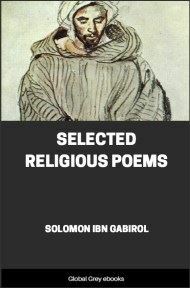 Some of these writings are written with a special purpose, either to inculcate certain doctrines, or to show the antiquity of certain precepts in order to justify some religious ceremony. Some assume the form of historical narratives of events that happened to the Patriarchs, others appear in the form of ancient revelations also ascribed to biblical personages, and either try to lift the veil of the future or to encourage the people in time of trial and trouble. This literature has had a chequered career; very little has come down to us in its primitive form, and in the Hebrew language. Even those that were written in Greek, and have been translated from that language, had to undergo considerable changes at the hands of those who afterwards utilized the ancient records for the purpose of spreading their own religious views. Books that went under the names of Patriarchs claimed a great respect and veneration. And, therefore, if they contained announcements as to events that were to happen, Christian writers and then heads of sects would not fail to interpret or to interpolate sentences or passages by which Christian or specific doctrines would appear to have been foretold from ancient times. Such interpolations and the use made of the books sufficed to condemn them in the eyes of the Jews, and even in the eyes of the ruling Church, and to cause their disappearance at a very early period. Others that were written in Hebrew and claimed to be a kind of prophecy, having been belied by the non-fulfilment of those prophecies, fell into contempt, were disregarded, and therefore partly lost; the purely historical and legendary portions, however, seem to have fared somewhat better. They lived on because age did not affect them, and people at all times were inclined to bestow benevolent attention upon poetical descriptions or pseudo-historical narratives. The critical spirit belongs to modern times. The discrimination between true and false history is the result of modern discipline. Much that we consider as impossible and legendary would pass, and did pass for centuries, as true history; and legendary history ranked very high in popular favour from ancient times onward. The texts suffered considerably because they were considered 'No man's property.' Every copyist, every author, handled them in the freest possible manner: adding, changing, altering, leaving out what he considered useless or superfluous, and dwelling at length upon details for which he had a special predilection. The liberty taken with that class of literature greatly increases the difficulties of the critical student, and makes the task much more onerous for those who attempt to winnow the chaff from the corn and to trace legendary history to its ultimate literary source. With the Jews, history—that is, a description of battles or of internal political development—had ceased from the time that the political entity had come to an end. Scattered throughout the world, they dwelt much more passionately upon the records of the Bible, and favoured all those legendary embroideries more highly than probably any other nation which lived in the actuality, and had to shape its course in the various lands where they had established themselves. That accounts for the paucity of Jewish chronicles—there was practically nothing to record. From the time of the first Temple, that is, from the time at which the Bible closes down to the Dispersion under Titus and Vespasianus, there was a long period, in which the Jewish polity again flourished in Palestine, and wherein the Maccabeans fill such a prominent place. 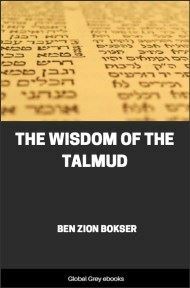 True, a brief allusion to these three hundred years and more of the existence of the second Temple is all that is to be found in Jewish literature; a stray passage among the thousands of pages of the homiletic or legal literature of those times, and no more. But, in spite of this poverty in reference, that period was one of intensive literary activity, the outlines of which have hitherto been only dimly recognised.